Rhubarb roots have been used by Chinese herbalists for millennia. It contains anthraquinones (including rhein and emodin), stilbenoids and flavanol glucosides. 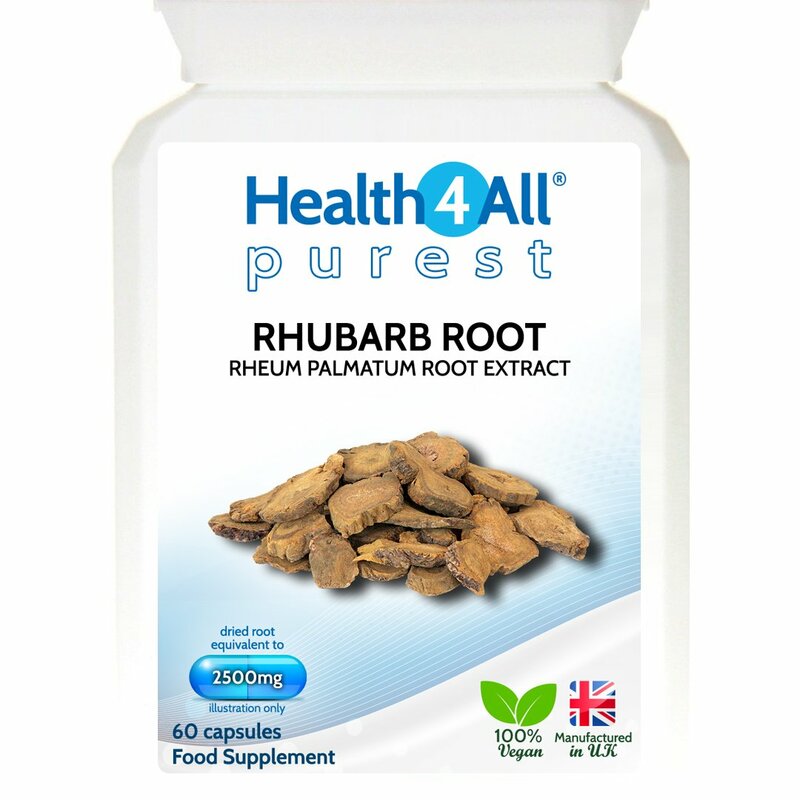 Each capsule contains 500mg of 5:1 extract to provide equivalent to 2500mg rhubarb root. 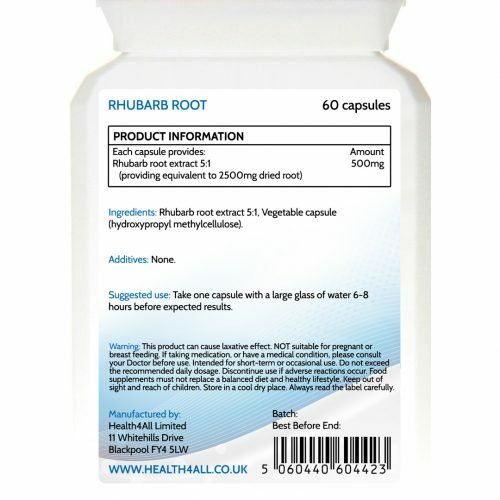 This product can cause laxative effect and is intended for short-term or occasional use only. Take one capsule with a large glass of water 6-8 hours before expected results. Rhubarb root extract 5:1, Vegetable HPMC capsule. This product can cause laxative effect. NOT suitable for pregnant or breast feeding. Intended for short-term or occasional use. African Mango (Irvingia Gabonensis) also known as ‘wild mango’ or ‘bush mango’. African Mango has no known side effects when up to two capsules daily are taken. African Mango’s active ingredient is amylase enzyme inhibitor. Nicotinic acid is a form of Vitamin B3 that has vasodilation properties. This means that it expands the capillaries (fine blood vessels) under the skin so more blood flows to the skin making it red and itchy. This effect is called the ‘niacin flush’. Though the niacin flush is uncomfortable it’s not harmful. It’s also a temporary effect in two ways; it disappears an hour or so after it starts and after continued usage it often stops happening at all. Niacin contributes to: normal psychological function, normal energy-yielding metabolism, normal functioning of the nervous system and reduction of tiredness and fatigue.